We are pleased to introduce Hyatt Place, a new kind of hotel that puts style, innovation and The Hyatt Touch within everyone's reach. 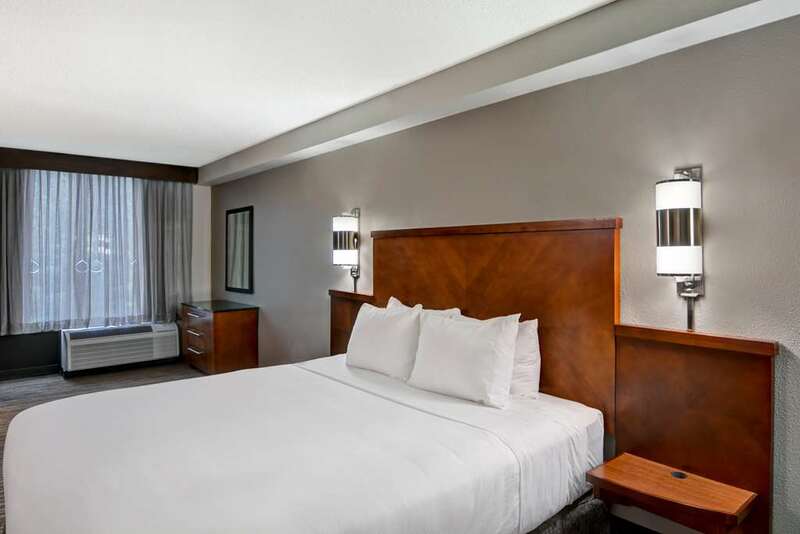 Our guests will enjoy a spacious guestroom with a 42in flat-panel HDTV, our signature Hyatt Grand Bed, a plush Cozy Corner oversized sofa-sleeper that is separated from the sleeping area, and complimentary high-speed Wi-Fi internet access throughout the hotel. 24-hour Grab & Go Cafe offers freshly prepared entrees, sandwiches, salads, and pizza. Available 7 days a week in Guest Kitchen. World of Hyatt members can enjoy our complimentary breakfast when they book an eligible rate. Our breakfast includes premium ingredients, cage-free eggs, and regional chef-inspired dishes. PET POLICY: 1-6 NIGHTS A 75 NON-REFUNDABLE FEE. 7-30 NIGHTS A 75 NON-REFUNDABLE FEE PLUS AN ADDITIONAL 100 CLEANING FEE. MAXIMUM OF 2 DOGS PER ROOM ARE PERMITTED. WEIGHT MUST BE 50 LBS OR LESS MAX OF 75LBS PER RM. FEES ARE IN USD. Service animals are always welcome and exempt from fees. Stardome The Comedy Club: The finest entertainment facility in the southeast. Offering great comedy, food and atmosphere. Conveniently located on John Hawkins Parkway just across the street from Patton Creek Mall, and just 1 block from the Riverchase Galleria, Alabamas Largest Indoor Mall. Located 14 miles south of downtown, the hotel has easy access to I 459 two miles from I 65, and less than 16 miles from the Birmingham International Airport. Oak Mountain State ParkAlabama welcomes you with 24 well-developed State Parks, and near Birmingham you will find one of our best. Oak Mountain State Park is thirty minutes south of Birminghams City Center, on Interstate 65. At Exit 246 in Pelham. Splash ParkTwo Water Parks. One Great time.